The following blog below was written by Doulas of Berks County's newest IC, Briana Belden. It is not only a narrative of her own journey through childbirth, but a testimony to her mission statement and her passion and love for serving women through their journey as well. As an expatriate living on the coastal Chilean countryside, I had my fair share of pregnancy challenges. From the bumpy, dirt road car rides, to my midwife's office an hour away, to the difficulty of navigating my first pregnancy in another language, nothing about my situation felt normal. Compounded with my loneliness as an outsider living in a foreign country and my lack of family nearby, I knew I needed more than my husband to feel supported, not only in my labor but during my postpartum period as well. Thankfully, I fell into a friendship with Heather, a fellow American woman who coincidentally had just had her first baby while I was in the throes of my emotional first trimester. Now Heather, being the holistic, natural-minded mama she is, suggested everything from cloth diapers to essential oils, from baby-wearing to extended breastfeeding, lending me heaps of books to help ease my transition into motherhood. Like many expecting mothers, I picked her brain, opting out and in to her various recommendations and cautiously carving out my own path armed with the knowledge and confidence she helped me find. 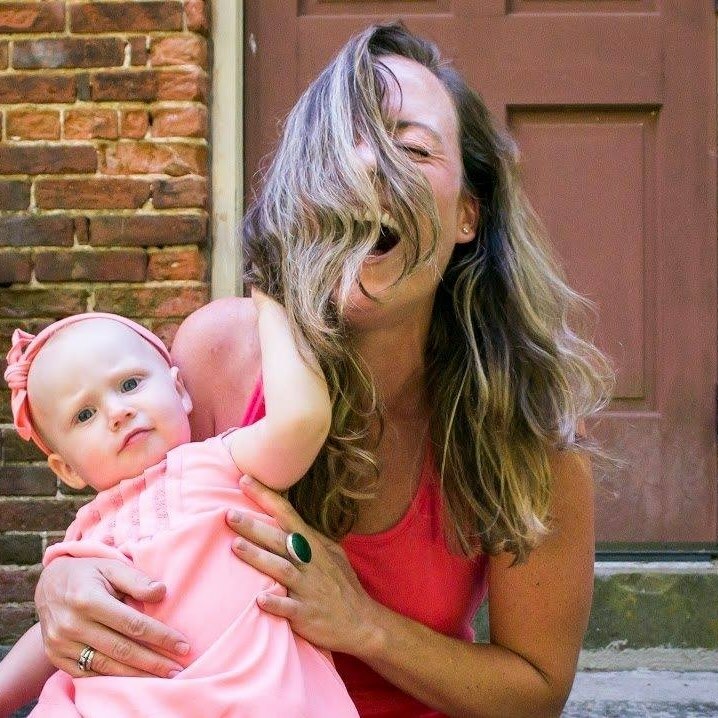 It wasn't until late in my first trimester when I started realizing that not only did I want Heather at my birth and postpartum, but that she had already been acting as my doula long before I decided to hire her in earnest. By the time 40 weeks rolled around I was ready and starting to get a little antsy for Lucia, my daughter to make her arrival. I went outside to look at the moon, at my husbands request, one night and when I came back my water started leaking. I started shaking with nervousness and excitement and called Heather to let her know. The next 72 hours that followed were a combination of the most intensely scary, exciting and ultimately empowering moments of my life. After my water broke it was three days until I met Lucia in the hospital ward of the nearest public hospital, a 45 minute drive from my home. And by the time I had given birth, the entire city was in flames as the most epic fire in its history swept through, threatening to evacuate all the women and babies in our 10 person room. Afterward, after the universe had laughed at my birth plan and things felt overwhelming, I struggled to find my footing in my new role. It was in the days, weeks and months that passed that made me realize just how crucial support and understanding is for new mothers. I owe a huge credit to the woman who mothered me when I needed it the most - those who answered questions, lent hands and held the baby while I showered and got down to the business of becoming a mother. I am eternally grateful that I knew well enough to create a network of support around me and my hope in being a doula is that I can use this profession to give that very same support to birthing and postpartum women, wherever they find themselves. "Support to me comes in so many forms – whether it’s offering up evidence-based information, lending a hand to help or an ear to listen, it’s crucial that my clients feel heard and supported in all the ways they need. Arming mothers with this type of support breeds confidence, an incredibly important element in every mother's journey. Allowing them to own their motherhood is what I hope to bring to my work in this field."